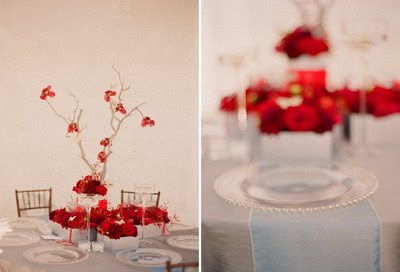 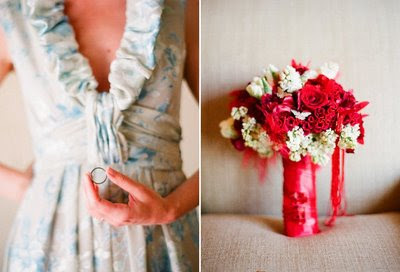 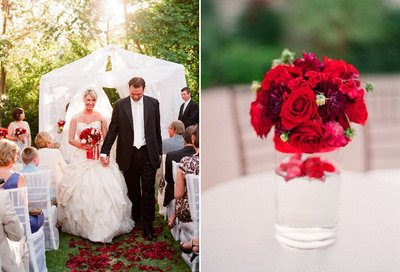 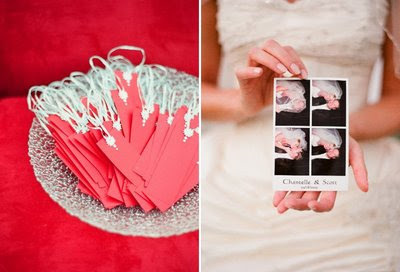 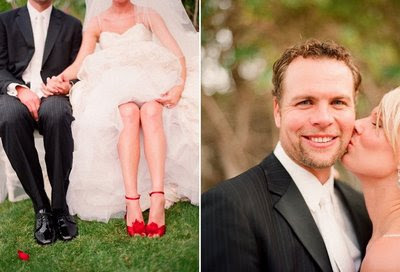 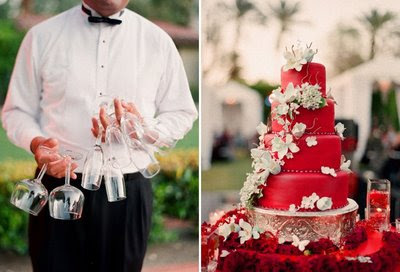 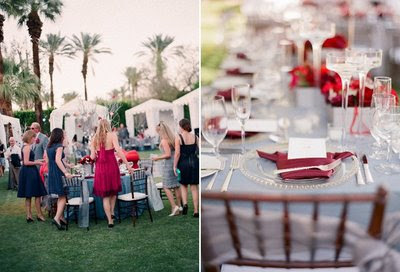 I think this wedding splashed with red is so charming and romantic. 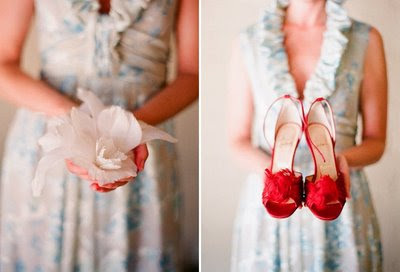 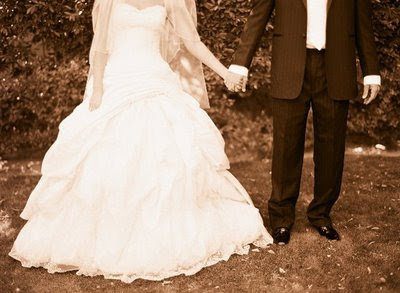 I especially love the bridal portraits; what an adorable dress to wear for the morning of! 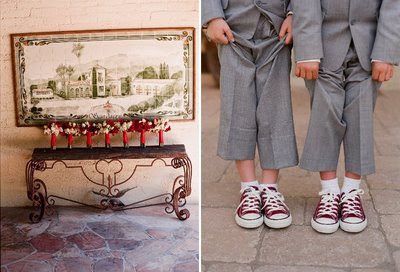 It should inspire us all to put on "real clothes" instead of white velour track suits with "Bride" embroidered or bejeweled on the back. 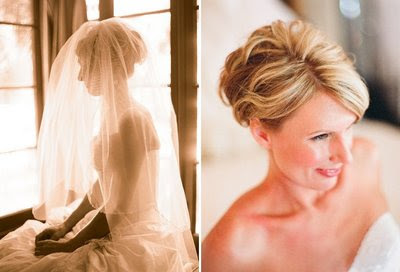 Unless you bejewel it yourself, in which case, the sheer 80's-ness wins you a buy in my book. 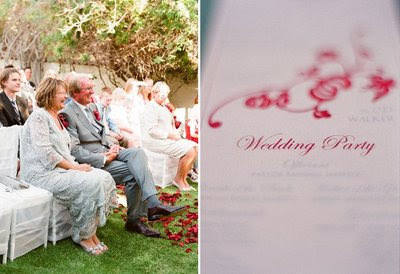 These lovely photos, it should not surprise you to learn, are by Elizabeth Messina, c/o her blog, Kiss the Groom.